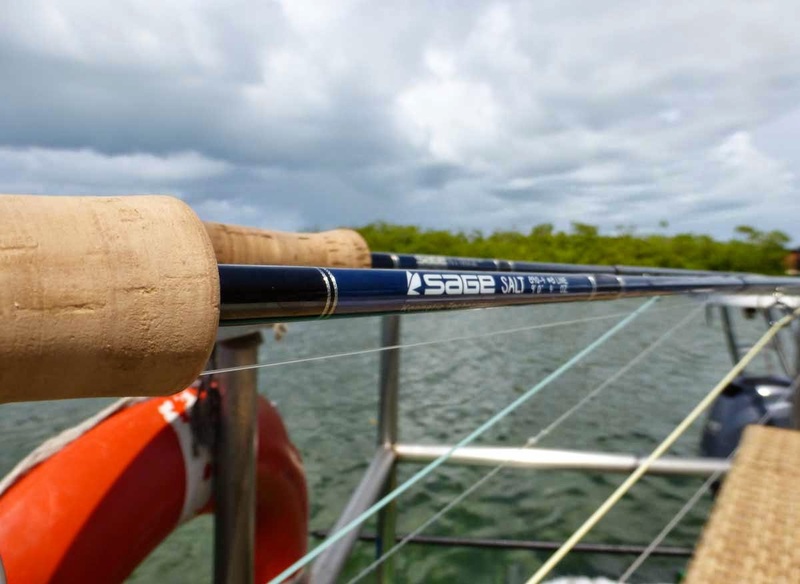 Having used the new Sage Salt 890-4 on two very very different recent saltwater trips, I am writing a mini review or review part one (of many to come). I say part one because it takes time to really get to know a new series of rods. A trip or two is kind of like the test drive of a new car or the first few dates of a new relationship.... It takes serious miles and serious time to truly understand all three. In reality it has taken me several years of fishing Sage Ones, Methods, TCX's, Xi2's and Xi3's to understand the sometimes subtle, and sometimes glaringly obvious differences between the unmistakable "Sage" performance DNA found in each series. Immediately, after only a few casts with the new Salt 890, I instantly felt the control or sense of control anyway that I have come to rely on with the Sage Ones. The "Salt" is a wickedly accurate and responsive rod. It is also a very powerful and efficient casting tool. I swear, I looked at tails or rolling fish at distances that normally I wouldn't even consider casting to, and this rod got my fly there and quickly. It's important to note that it will not make a beginner an expert, but will add ability to whatever skill level you possess. This "Konetic Technology" that Sage has access to and incorporates into all of their premium rods, is the real deal. This new technology has given Jerry Siem and the rest of Sage's R&D and design team a competitive advantage with which to practice their art of creation and design. 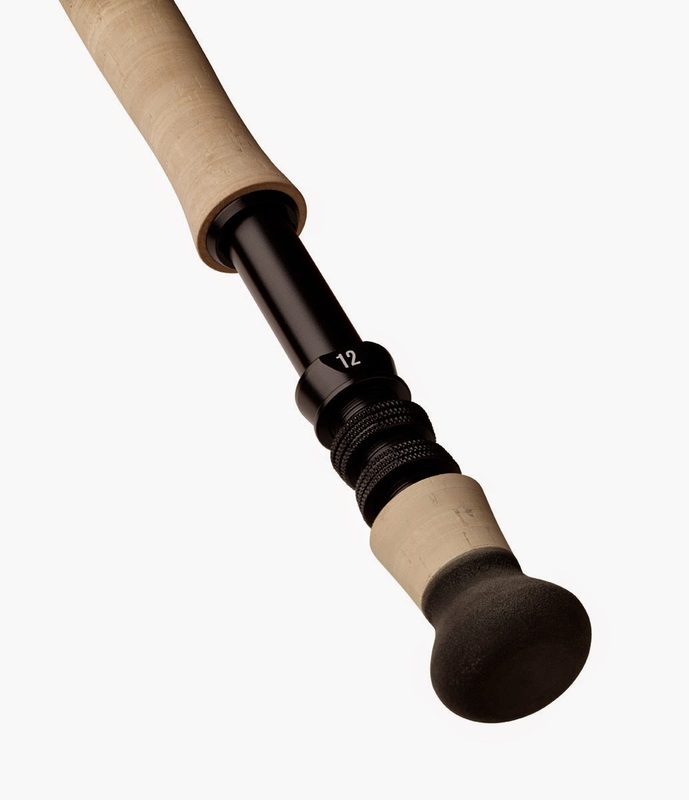 For shorter casts, the Salt 890-4 can be tip cast, and can really cast greater distances by loading the rod much deeper into the mid or oven lower section of the rod in the forward stroke. On longer casts the rod instantly communicates what's going on in the cast. Line speed ? All that I can say is "unbelievable". After the cast - the rod dampens so quickly, that it almost felt like an extension of my arm. Less vibration or twang in the tip translates to greater accuracy, and we could all use all the help we can get on that score. After a few days of casting and catching, the difference between the Sage One and their other Series of rods that I have used and the Salt started to become more obvious. Lifting long lines off of the water is even easier with the Salt. This rod has way more "RP" or reserve power than any rod that I have ever cast. I must be a lousy caster, because I have to recast often it seems. I have never been able to lift 50 or more feet off of the water so easily and recast so instantly in my life. 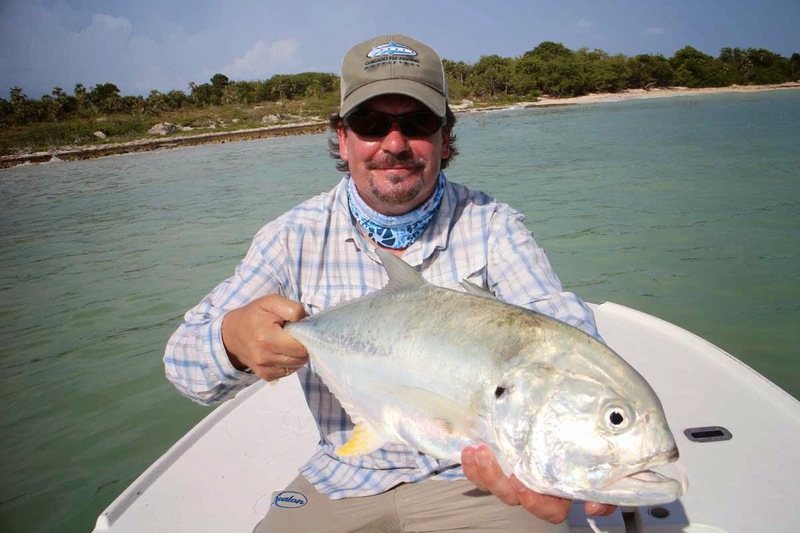 This is a big deal in saltwater fly fishing. Not having to strip in a bunch of line saves time and equals more casts to fish. The Salt also has a lot more RP in the battle part of fly fishing. 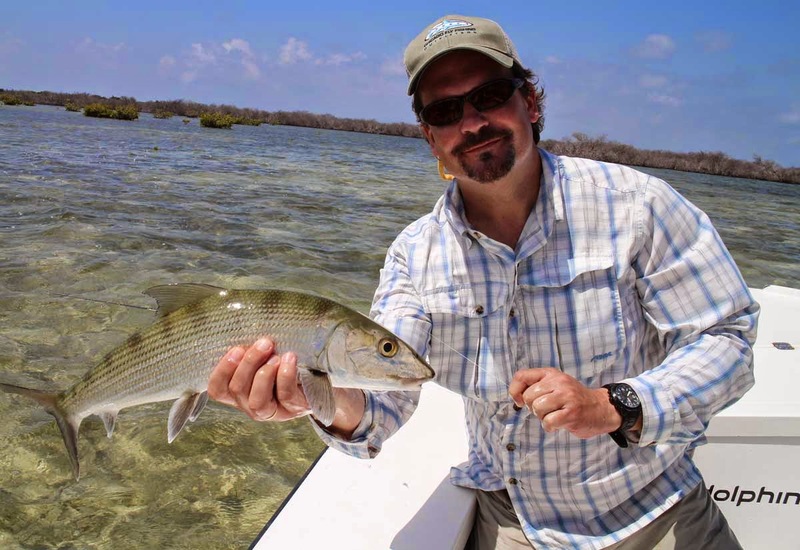 At one point I had hooked a nice bonefish in a mangrove maze. I thought that it was heading out towards the open ocean, but my guide understood that it was angling me towards one remaining little clump of mangroves. The guide started screaming that I should steer him away from said clump. The fish was easily 130-150 feet away from me and closing in on freedom fast. Usually I would have screamed "Dude - the fish is a mile away and the wind is howling in my face and you want me to do what?" But since I couldn't translate dude into Spanish quickly enough, I palmed the screaming reel, raised the rod high, and was able to use that version of RP and forced him to veer right, clear of the clump of mangroves at over 150 feet. Jacks later that day with the help of 20 lb leaders allowed me to manhandle fish that normally would have been in the drivers seat. Lifting, fighting and casting are equally important components in many fishing situations, and this rod does it all just better. It is a fast action rod that can be made to feel slower by using heavier tapers or heavier lines. IT IS NOT DESIGNED TO BE ULTRA SENSITIVE IN VERY SHORT CASTS - and it is not. I would not use the Rio Bonefish or SA Bonefish taper while looking for redfish and sea trout at 30 feet. Very subjectively, the sweet spot in the salt 890-4 with light lines appears to be from 40-60 feet of line in the air. 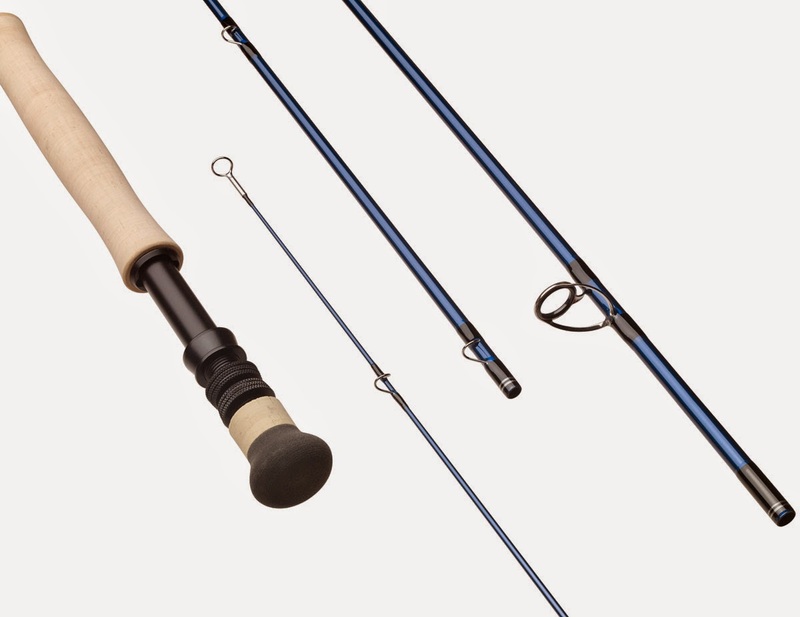 TheRio General Purpose Saltwater taper or Rio Outbound or any of the other uber taper lines would work much better in close, and makes the sweet spot or optimal load at 20-40 feet in my limited experience with this rod. Although this rod has enough power to get way beyond that distance with heavier lines, again for my casting stroke, the heavy lines work better in close quarters and feel a bit clunky at greater distances even with this rod. On the other hand if I am after bonefish or permit at distance, the lighter lines such as the Rio Bonefish Taper make this an ultra responsive, ultra accurate tool. As we say with all rods, the individual using any rod has to find the right line to match your skill sets, and your casting stroke with whatever rod that you are using - and that is absolutely true with the Sage Salt Series of rods. Take the time to learn what this rod is capable of, put it to your own tests, and I strongly believe that you too will see that the Salt just raised the bar by a large margin in the world of high performance fishing tools. It's very useful information posting and it's capture the images are very attractive.